One of our regular clients is Tell Tale Travel. 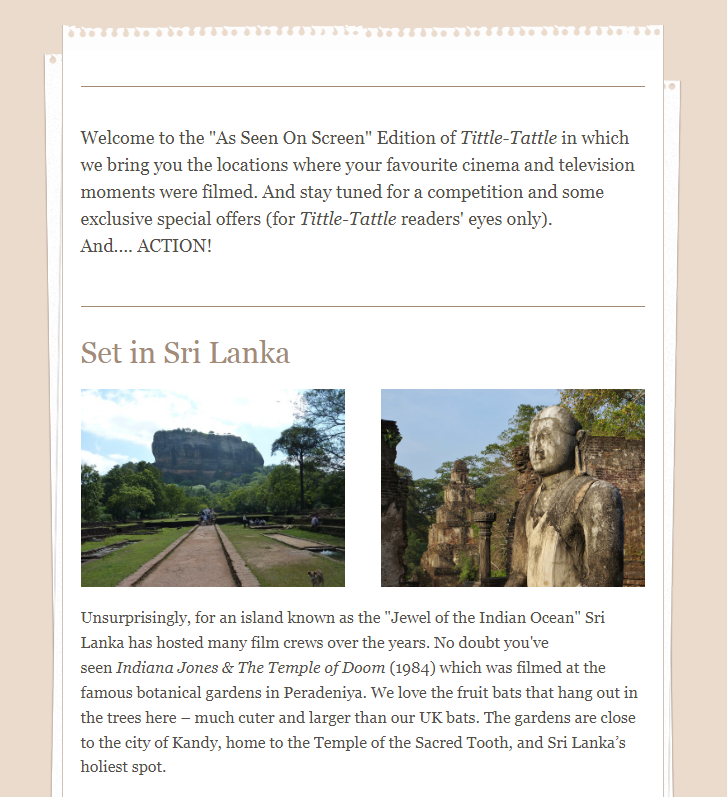 Last week we wrote them a newsletter on the theme “As Seen On Screen” featuring various film locations in Sri Lanka, Thailand, Brazil, Cambodia and Japan. It was fun to research and write, and hopefully, it’s fun to read too.